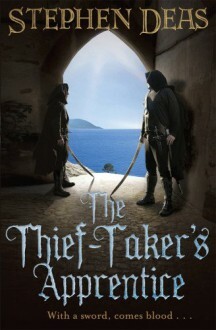 A teenage thief becomes a teenage assassin and must live with the consequences—perfect for readers of Trudi Canavan and Robin Hobb Berren has lived in the city all his life. He has made his way as a thief, paying a little of what he earns to the Fagin-like master of their band. One day Berren goes to watch an execution of three thieves. He watches as the thief-taker takes his reward, and he decides to try to steal the prize—and fails. The young thief is taken, but the thief-taker spots something in Berren. Berren becomes his apprentice, and is introduced to a world of shadows, deceit, and corruption behind the streets he thought he knew. Full of richly observed life in a teeming fantasy city; a hectic progression of fights, flights, and fancies; and charting the fall of a boy into the dark world of political plotting and murder; this marks the beginning of a new series for all lovers of fantasy.